The first thing a user sees when they open the app is a carousel of standard discounts and offers, and generic product listings that add little to no value to the user. The personalized recommendations are few and scattered, and only show up after some scrolling. The copy lacks the human touch, and the feed is too busy. 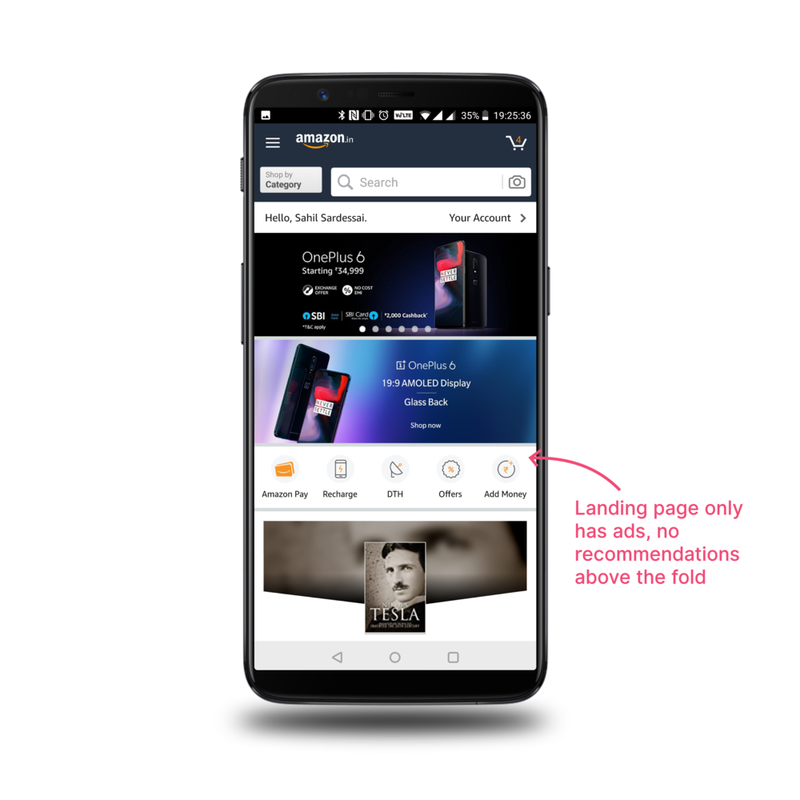 In the mobile app, key account functions are buried behind a hamburger menu, or at least one click away. People compare products before making a purchase. They make wishlists and track prices and availability. They keep things in their shopping carts. They like to annotate and plan a purchase. 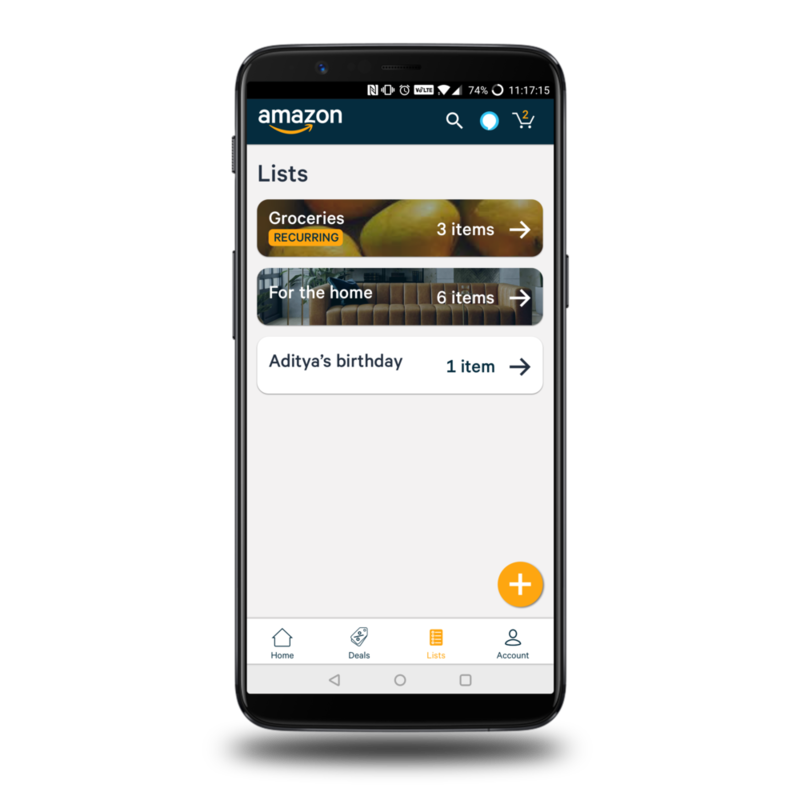 But Amazon lacks the tools to do that, with a severely limited and hard-to-find comparison tool, unintuitive wishlist interface, and a shopping cart cluttered with recommendations. 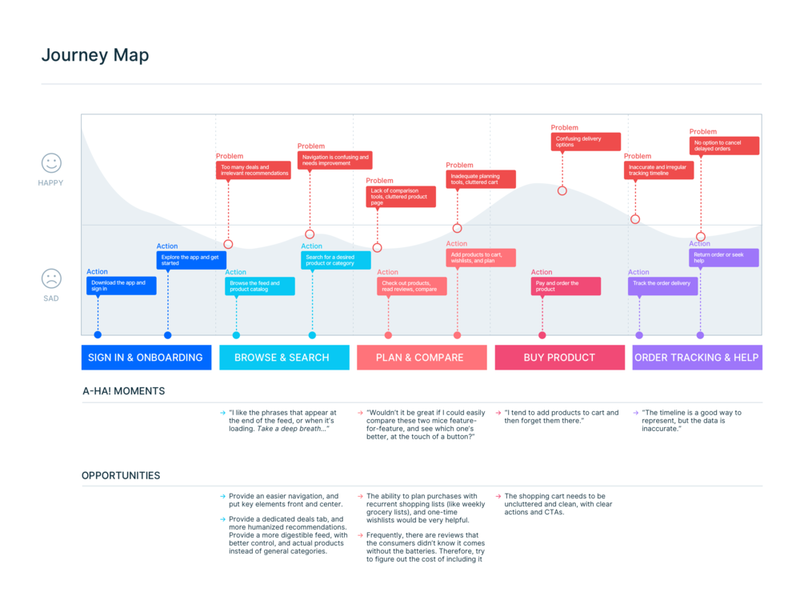 A tailored catalog with custom product recommendations, clean and simple design, clear and specific product listings, and human-centric copy that is much more inviting. Making lists and scribbling notes are an integral part of the shopping experience. Wishlists and shopping lists should be easily accessible. It could be a long term wish list, a one-time list, or a recurring shopping list for your weekly grocery shopping. People like to compare a broad range of items, and plan their purchases before making the final decision. 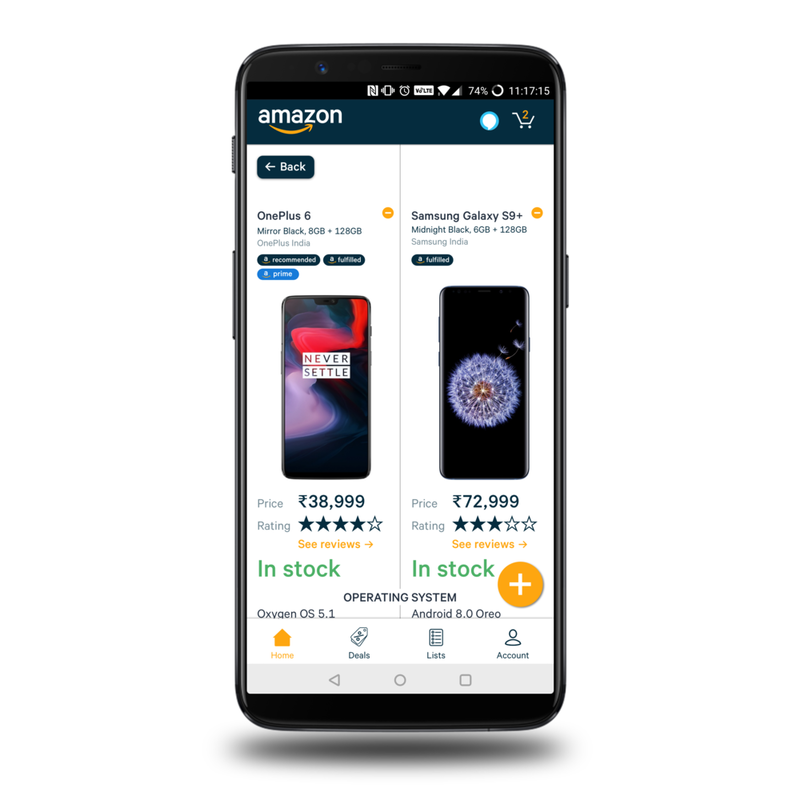 Being able to compare products quickly and in-app helps speed up the purchase process. 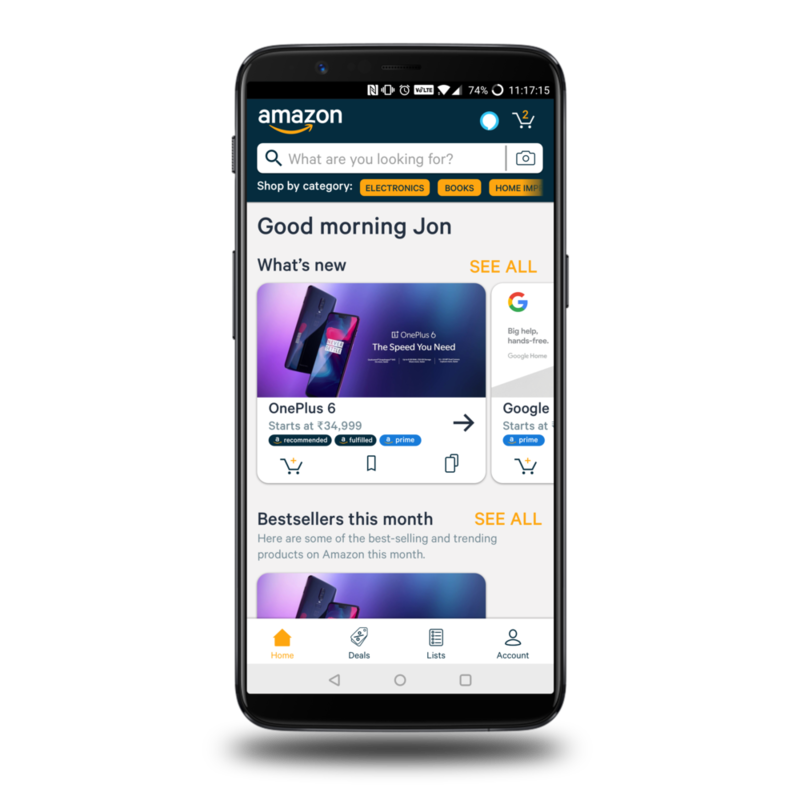 The mobile interface can be organized with tabs for easy access to key features—the catalog, a dedicated deals tab, shopping lists, and the account dashboard. Instead of overwhelming the user with an unfathomable number of generic deals and offers in an uninspiring feed, all the featured deals can be shown in a dedicated tab with quick access.